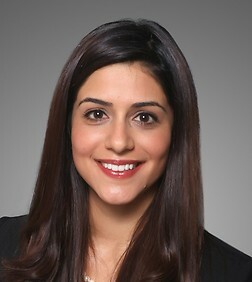 Gazal Pour-Moezzi is an associate in the Intellectual Property Practice Group in the firm's Orange County office. Ms. Pour-Moezzi works with clients to build and protect brands. She advises clients on acquiring and protecting trademarks in the U.S. and abroad; prosecutes and defends trademarks before the U.S. Patent & Trademark Office and Trademark Trial and Appeal Board; and arbitrates domestic and international Internet Domain Name disputes. She also has an active trademark litigation practice, litigating claims under the Lanham Act and state unfair competition laws. Most recently, Ms. Pour-Moezzi obtained a unanimous decision for her client from the U.S. Supreme Court in the trademark infringement case Hana Financial, Inc. v. Hana Bank, 574 U.S. ___ (2015). In addition to trademark law, Ms. Pour-Moezzi counsels clients on copyright and trade secret law, as well as transactional matters including the negotiation and preparation of intellectual property ownership and licensing agreements.